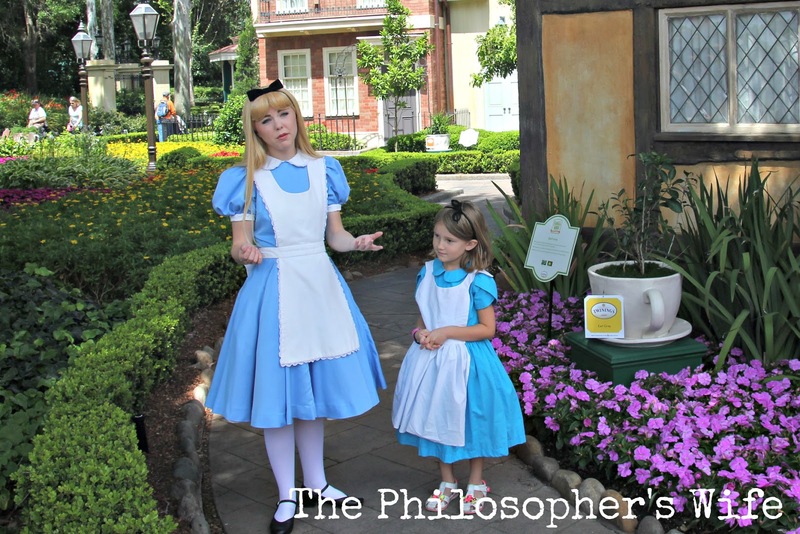 Somewhat to my surprise, Catherine requested an Alice in Wonderland costume for Halloween last year. While I was surprised, I was up to the challenge. It's been ages since I read Lewis Carroll's Alice's Adventures in Wonderland (the Kindle version is only $0.99! ), but what I remember of it was that it was rather . . . odd. 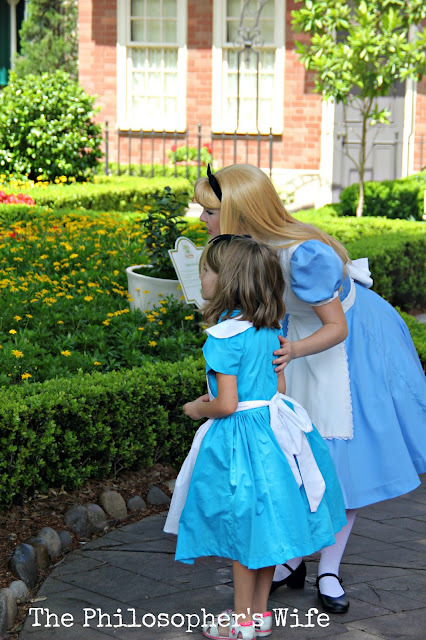 Much like Disney's Alice in Wonderland, which is currently how Catherine is familiar with Alice, and that is the look she wanted. Buy the movie from Amazon. I free-handed the apron. This took me lots of trial and error. I really wanted an apron that looked like it was from the Disney movie. 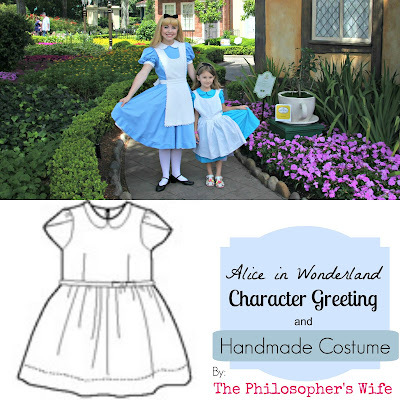 I'm actually rather surprised how much Disney's Meet and Greet Alice's apron isn't like the movie. Where is the rounded shoulder detail? Why is there the additional cross in the back? Their apron is seriously not true to the movie at all and it bothers me! 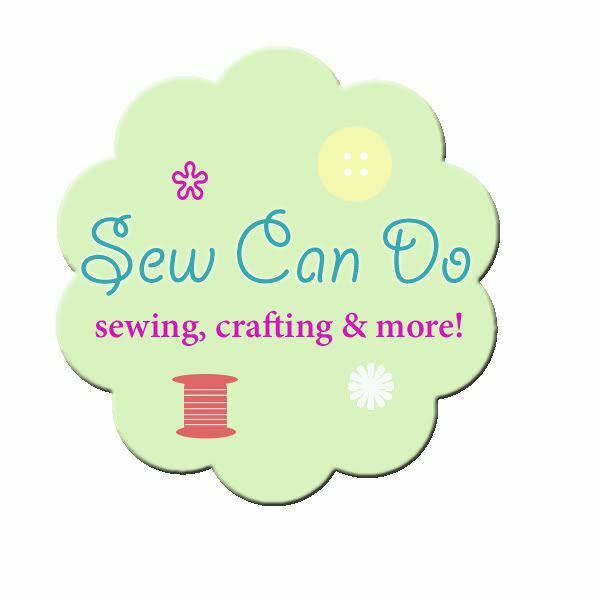 Is that because I'm a purist or because I sew, so I'm always looking at how a garment is constructed? I'm not sure. Maybe it's a little bit of both. Alice's dress is rather full and flouncy (both in the movie and on the character at Disney World! ), so I needed to add an underskirt. Since we have a lot of princess type dresses in our future, I decided to make it a separate garment. The underskirt is a couple of yards of tulle gathered onto half inch elastic. (By the way, have you seen Rae Gun's gathering tip? It has made my life so much easier!) The tulle underskirt certainly adds some pouf! Catherine loved the dress, which made me super happy. Of course, I also relished the fact that everyone knew who she was on sight! Well, except for that one lady during trick or treating . . . she thought Catherine was Mary Bo Peep. 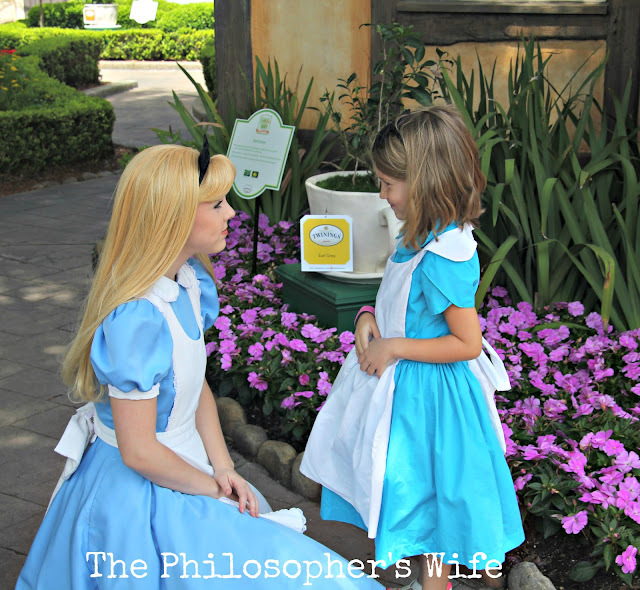 Just recently, Catherine was able to show her dress to Alice in Wonderland at EPCOT. (She's found in the United Kingdom part of the World Showcase. Times are always available online.) It was such an adorable exchange. Alice kept referring to Catherine as "me". I am constantly in awe of the Disney cast members. Catherine tends to get a little star struck when meeting her Disney favorites, but they all do such an amazing job of making it a special experience. Alice was simply delightful. I also love that the photographers allow us to take as many pictures as we want. I click away pretty much constantly during every character meet at the four Disney parks I've been to and every time I've been met with nothing but kindness. In fact, most of the photographers have even offered to take photos using my camera if I want to be in the picture. We always scan our bands too, for the Photo Pass, but we haven't actually purchased any . . . yet. 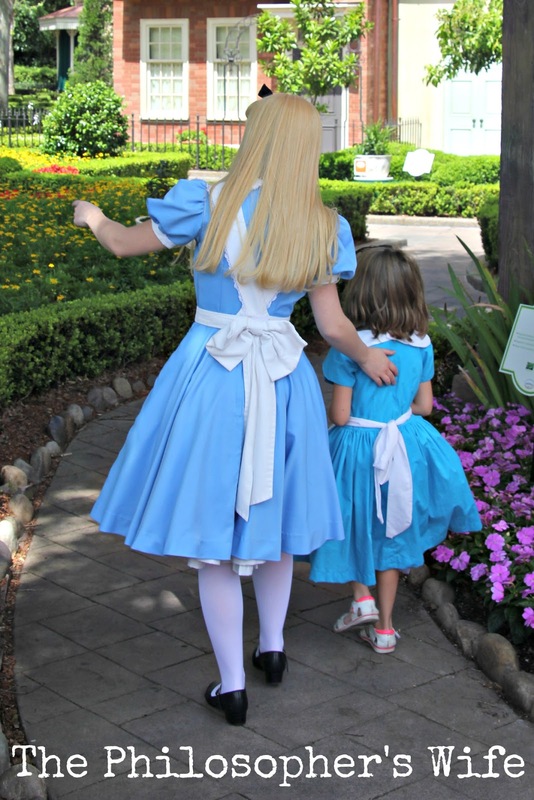 Just one more little critique of Disney's Meet and Greet Alice (the costume, not the girl): what is up with the white collar? In the movie it clearly is blue to match the dress! 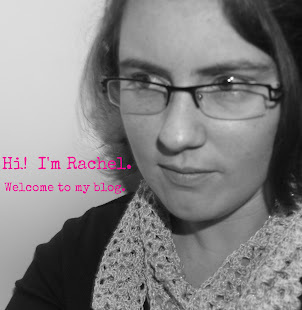 I found you from Inspire Me Monday/Create with Joy. This is a beautiful costume. My daughter made one of these for herself in high school..... so much fun. Love the dress! You did a great job and I love the pictures too! Looks like you had a great time at DisneyWorld! 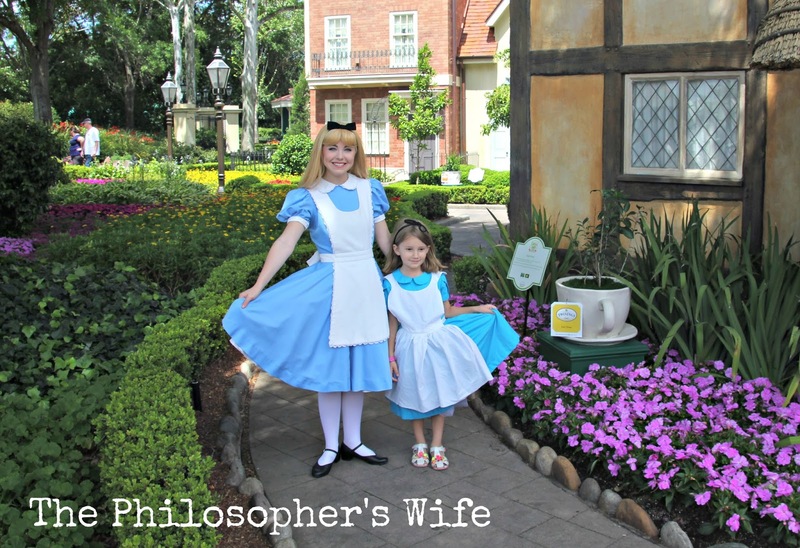 I always wanted to be Alice when I was little!!! Cute dress!!! Really good job with the costume! Your photos were wonderful and I think its great they let you take so many. Great memories in a great costume. How adorable! That costume came out perfect! Cute pictures! I love the characters from Alice. Wow, the costume looks fantastic!! Wow! You did a wonderful job, and made a little girl very happy! 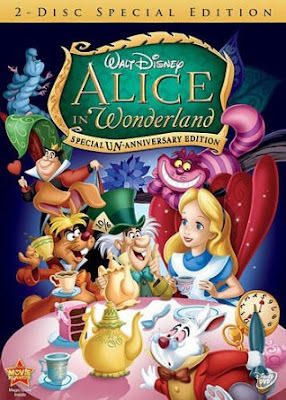 Alice in Wonderland is one of my niece's favorites. Love Alice. I like to think five impossible things before breakfast- I can make this dress! Hope to see her when we visit this fall! Love the huge tea cups in the picture. Wordless Wednesday: May the Fourth Be With You!